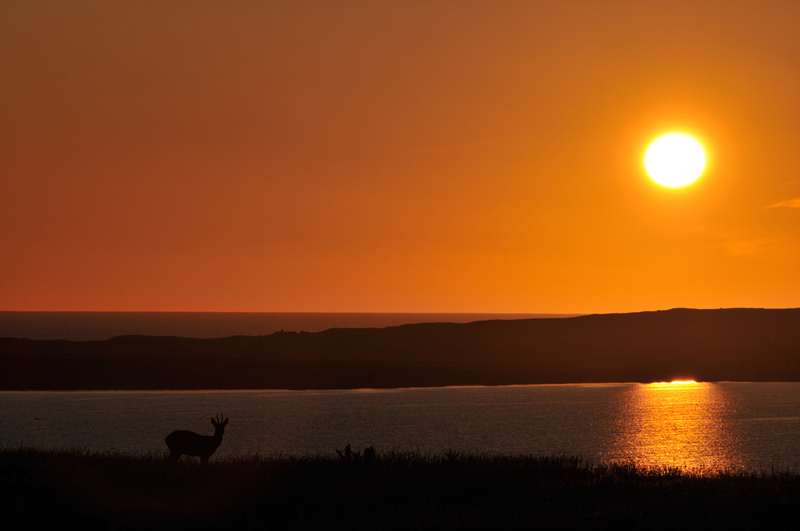 A sunset at Loch Gorm. A lone deer is grazing in the mild evening light, briefly looking up when it notices me taking the picture. This entry was posted in Freshwater Loch, Landscape, Repost, Sunny Weather, Sunset and tagged Islay, Loch Gorm by Armin Grewe. Bookmark the permalink.